Ever dreamed of a crackling fire in a wilderness lodge in Alaska? Well, you’ve come to the right place when you book an Alaskan cruisetour for 2017 with Princess Tours. On a Princess cruisetour, you’ll see more history, wildlife and scenery than most people see in a lifetime. Arriving aboard the exclusive luxury Princess Rail service, non-stop from the ship, then checking into your comfortable room at the Denali Princess Lodge is an experience you won’t soon forget. Just a mile from Denali National Park, the rustic, wood-log lodge is more than a place to stay. It’s a place to come face to face with the real Alaska. The lodge features an outdoor deck with four hot tubs, early and late dining to fit in with your tours. 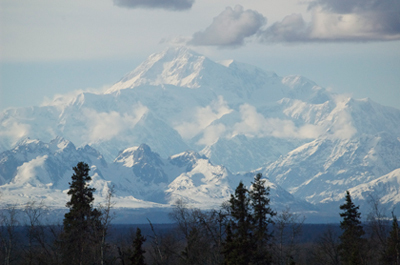 You’ll work up an appetite river rafting, horseback riding, flightseeing or taking the Natural History tour of Denali. You can even rent binoculars and mountain bikes. For those less active, guided wagon rides and Safari jetboating are also available. Just because you’re in the heart of Alaska’s vast and unconquerable wilderness is no reason not to enjoy the comfort and service that is a Princess trademark. The Mt. McKinley Princess Wilderness Lodge‘s outstanding location, tucked away on the south side of Denali Park, offers the best views of Mt. McKinley. 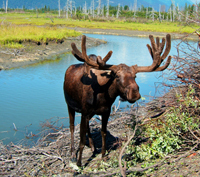 Your drive to the lodge, after departing the train, takes you into the domain of grizzly bears, huge Alaskan moose, marmots, squirrels, foxes, coyotes and beavers. The bungalow-style guest rooms are designed to complement their surroundings and are connected by a walking path to the main lodge. Here you’ll find a massive stone fireplace with vaulted ceilings, cozy seating areas, a vast outdoor deck, gift shop and tour desk. You’ll have a chance to enjoy a variety of activities here: river rafting, fishing, walking tours and nature hikes guided by naturalists, to mention a few. You have yet another option, to take one of the Kenai Peninsula cruisetours, which includes a stay at the Kenai Princess Lodge. With vaulted ceiling, deerhorn chandeliers and Alaskan pine and a huge river-rock fireplace, this is a true Alaskan lodge. Located on the Kenai Peninsula, within Chugach National Forest, many rooms have mountain views and feature wood log construction, sun porch, wood stove and sitting area in every room. The lodge also features outdoor hot tubs and an exercise room. 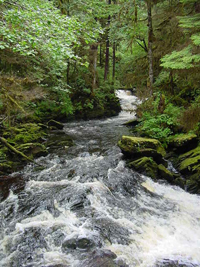 Many optional land excursions are offered, such as Kenai fishing, raft trips, scenic float trips, guided hikes and park and wildlife tours. After an exhilarating day in the wild, you’ll be ready to dig into the many Alaskan specialties featured at the lodge, such as Alaskan salmon and sautéed Alaskan scallops, as well as many other international favorites. 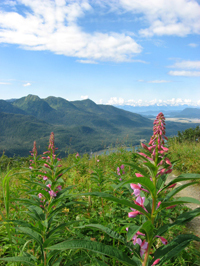 The Copper River Princess Wilderness Lodge is located at the gateway to America’s largest national park, Wrangell-St. Elias. Nestled on a bluff, it boasts a wall of windows two stories high to do justice to the outstanding views of the mountains and the Copper and Klutina Rivers. Several tours include stays at this beautiful new lodge. The best Alaska vacation combines a sensational Princess cruise with an equally incomparable adventure by land . Many families are planning reunions next summer and a group cruise is a great way to maximize family time together. Panda Travel in Phoenix is offering special early booking discounts now on selected dates of Princess Alaska cruises and cruisetours Call them at 602-943-3383 or 1 800 447-2632, or email them at vacations@pandatravel.com.